If your New Year’s resolution is to eat and drink less, then avoid these neighborhood bottle shops. Don’t say we didn’t warn you. Bottle Sauna is quickly becoming an institution among beer fans across the city. The moniker comes from the sauna or mokyotang that it replaced in its original location in Geumho-dong. 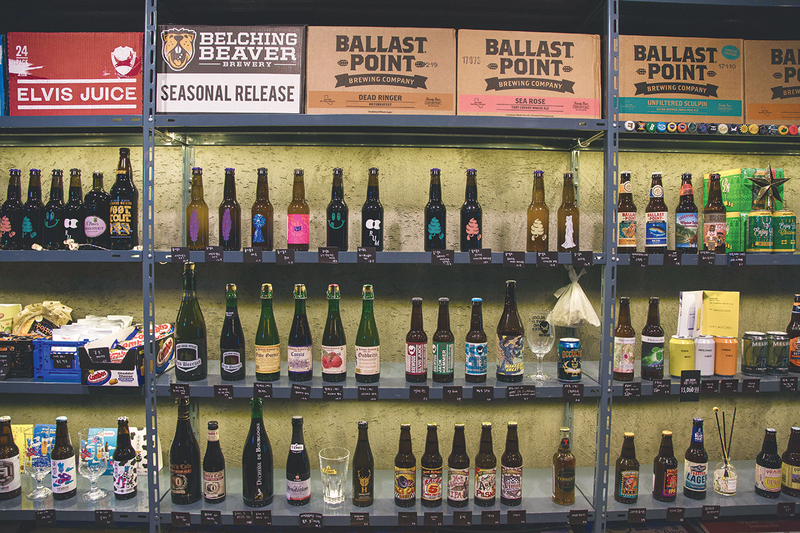 On its business card, Bottle Sauna describes itself as a beer supermarket, and the wall-to-wall line up of beers from all corners of the globe is solid proof. 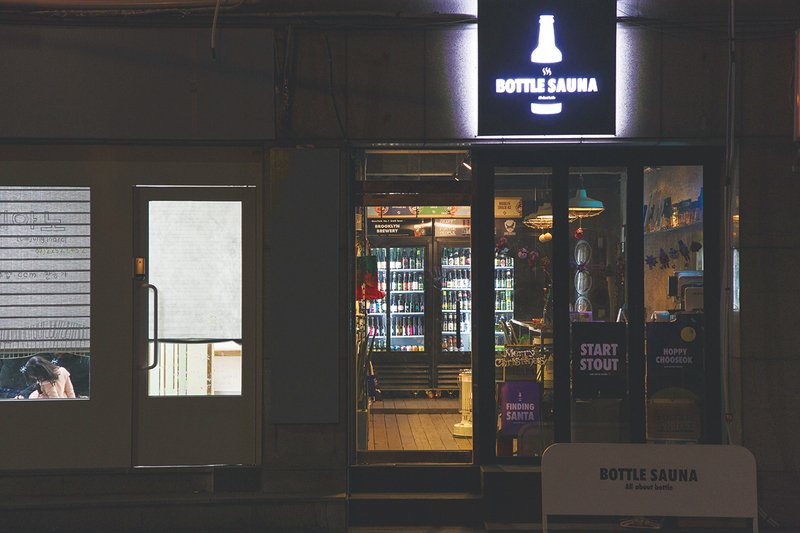 What sets Bottle Sauna apart from the actual big box supermarkets, however, is that its owner and staff are knowledgeable and enthusiastic about their beers. 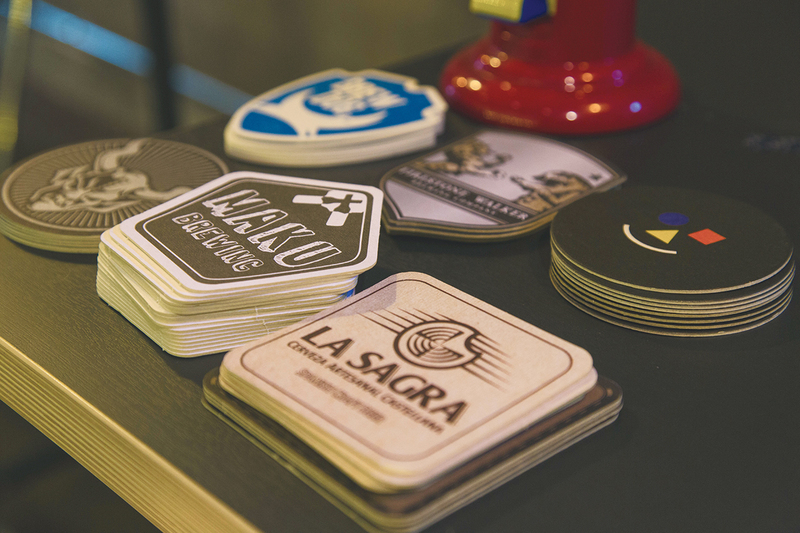 Curious about craft beer but can’t tell the difference between a lager or ale? Never fear! The folks at Bottle Sauna are only too happy to help. Just like wine sommeliers, beer sommeliers too can suggest food and beer pairings, provide information about the ingredients and flavors of beers, and point both newbies and experienced beer fans to new and exciting brews. There are weekly tastings and events at the shop, so make sure to check out their Facebook and Instagram pages for more information. 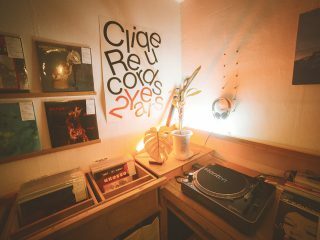 Seoul Gypsy is a newly minted micro-brewery, bottle shop and pub in a quiet neighborhood near Jongmyo Shrine. It’s a labor of love from two brewmasters who worked in local breweries, the Hand and Malt and the Amazing Brewing Co. The name Seoul Gypsy comes from their collaborations with various breweries around the country. Like Mikkeller, Omnipollo and Stillwater Artisanal, the Seoul Gypsy folks want to create innovative and experimental brews with brewmasters across the country. They love to travel and try new ideas, and they hope that their brews will inspire their customers to do the same. 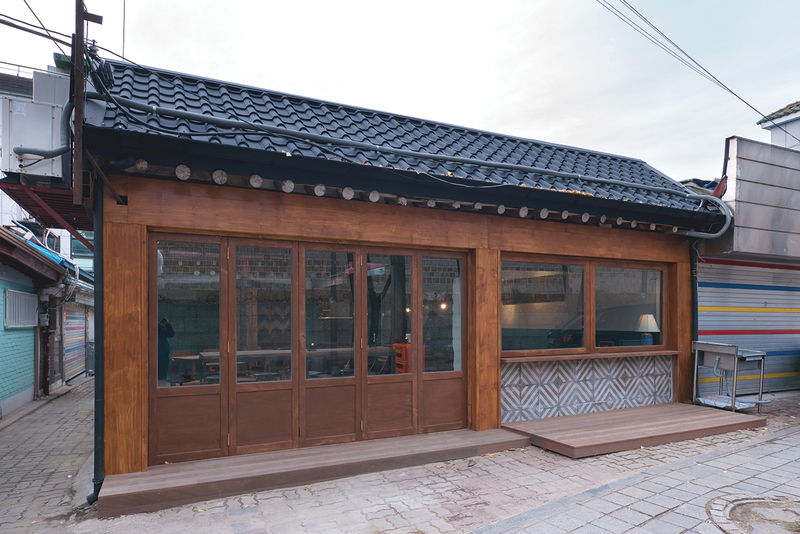 The owners renovated a Hanok themselves, and the cozy little shop has been getting notice by beer aficionados around the city. Take a visit and try their “Backyard Ale” made with a wild yeast starter, found in the back hills of their neighborhood. Upcoming is their “Oatmeal IPA” inspired by some delicious muesli the pair enjoyed in their European travels. 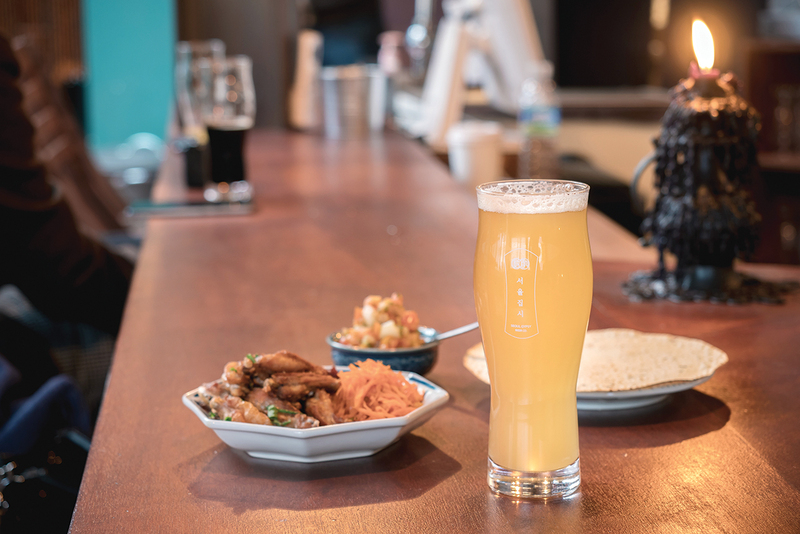 The owner describes the brew as “eating oatmeal with fruit juice.” In addition to the in-house brews, customers can order from a list of about twelve local and imported brews and a small tapas menu. Compared to the new bottle shops and micro-breweries on this list, Magnum the Bottle Shop is an old-timer. But it’s a godsend for folks who love craft beer, wine and spirits. 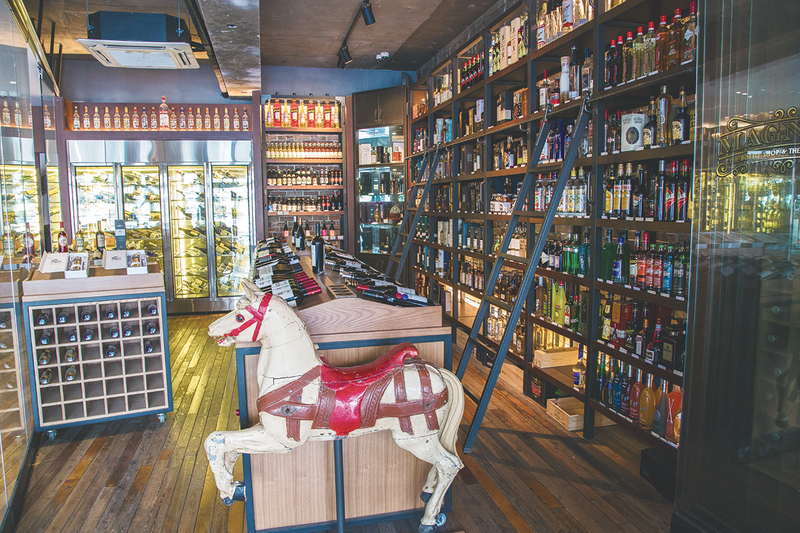 There’s a wide selection of bottles and a tasting room to try out the list with tapas. The store also features books, glassware and other accessories. A glass wall separates the bottle shop from the tasting room that’s open until 2 a.m. Monday to Saturday. 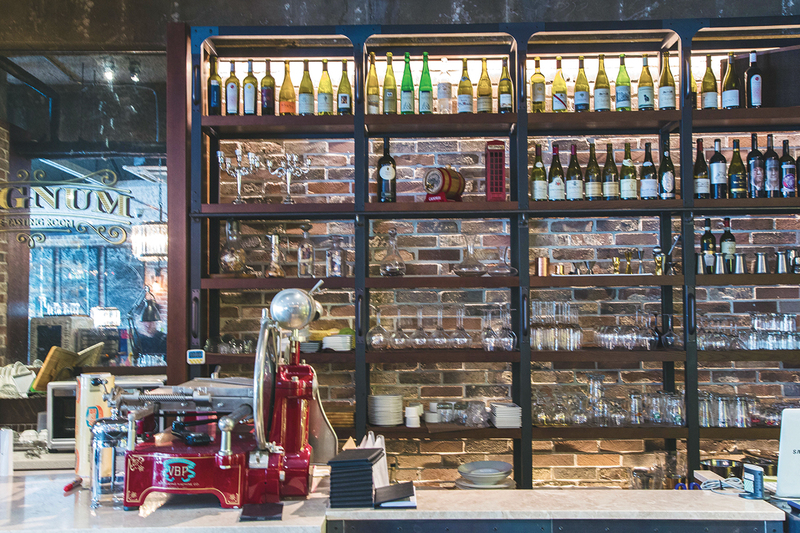 A wine station features 36 wines that can be tasted in sips (30 ml), by taste (75 ml) or by glass (150 ml). A corkage fee is applied to wine and liquor bottles bought at the retail shop. The interior is spacious and warm with brick and industrial steel accents. Since the shop is open late, the tasting room is a great alternative to the expensive pubs and wine bars in the area. 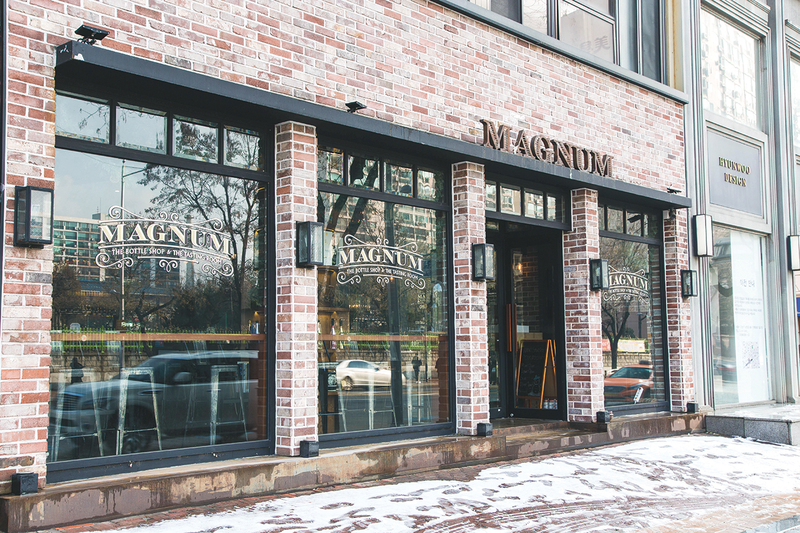 A new location is planned to open in Hongdae, so fans across the river can look forward to enjoying the Magnum experience closer to home. Keg Station is just hitting its one year anniversary in Yeonhui-dong. 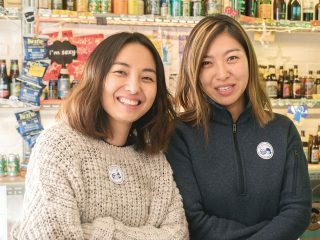 The owner also runs a taproom in nearby Yeonnam-dong and felt Yeonhui-dong was also in need of a “community supported brewery.” There are no seats to enjoy a pint at Keg Station. It’s a take-out shop only, with local and imported bottles and beers on tap. 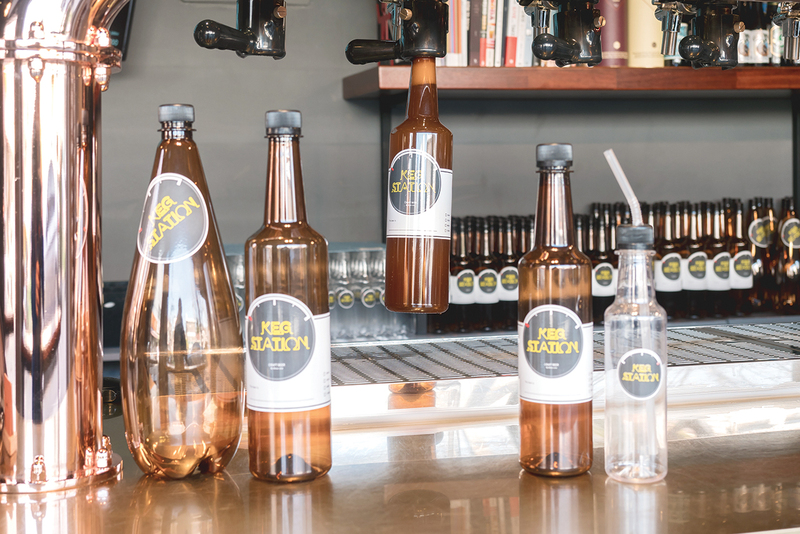 Customers can discuss the selection with the owner, and he’ll bottle-up the brews in plastic bottles available in four sizes, ranging from 300 cc to 1500 cc. Keg Station’s on tap menu features its brews made in its own brewery in Goyang. The brews range from IPAs, wheat ales, and pilsners. The line-up changes often so it’s recommended to check their Instagram or Facebook to discover their current offerings. The owner hopes to open a second micro-brewing shop where neighborhood residents can make their own homebrews. His dream is that Keg Station will become a neighborhood institution where residents can come to order brews for special family occasions.